As Esperance Turf Club Member you have the opportunity to experience many entitlements in addition to being a part of Esperance’s racing calendar. 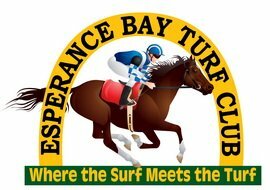 The Esperance Bay Turf Club (EBTC) conducts 10 races meetings, including the iconic Esperance Cup and the hugely popular Boxing Day Day races. Free entry to the EBTC Racecourse – access to the Members’ Pavilion, which is perfectly positioned in front of the winning post and boasting tables and comfortable chairs with Members Only access to the bar and TOTE – Full EBTC Voting Privileges. We’re looking forward to your support for the season ahead!